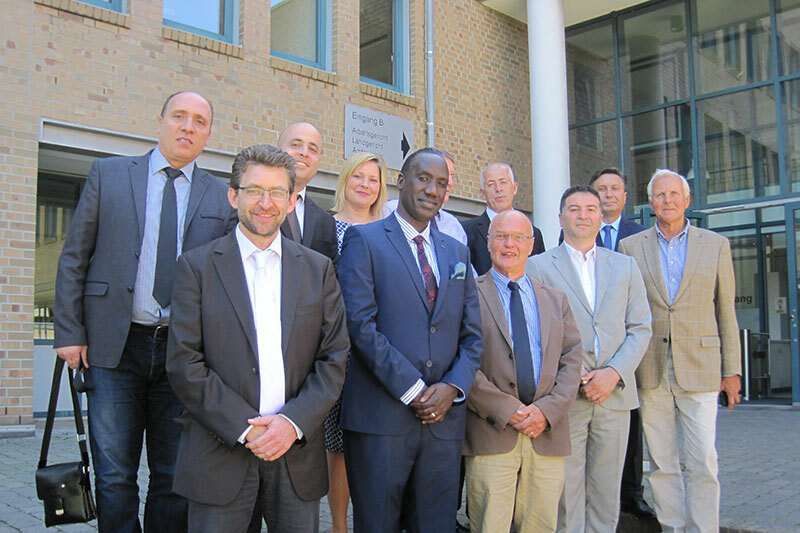 From 6 to 9 July 2016, a delegation from Kosovo led by Deputy Minister of Justice, Lirak Celaj, and Deputy Leader of UNICEF Kosovo, James Mugaju, attended expert discussions in Hanover and Göttingen. 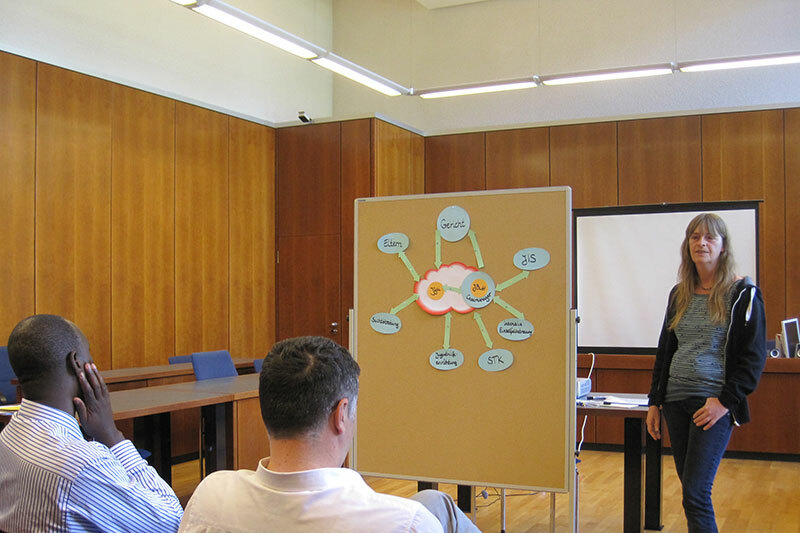 The delegation of seven people began their expert talks on the juvenile justice system with a visit to the Lower Saxony Ministry of Justice in Hanover. The head of department for law enforcement, Christiane Jesse, gave a short and concise introduction to the subject, supported by her colleagues Markwart and Starke. The following day was devoted to practical experience and the guests were given the opportunity to attend two hearings at the local court in Göttingen. Following a welcome speech by the director, Dr. Dietmar Brosche, a judge at the local court, Stefan Scherrer, described the cases, in which the offenders had already reached the age of 18. The day spent at the local court was rounded off with extremely interesting talks given by probation officer Silke Grotkop (“Duties of the probation officers in juvenile criminal proceedings”) and social worker Karin Faber from the Verein Jugendhilfe Süd-Niedersachsen e.V., an association providing support for young people in the southern part of the Lower Saxony region, on “Services for young offenders outside the prison system”. 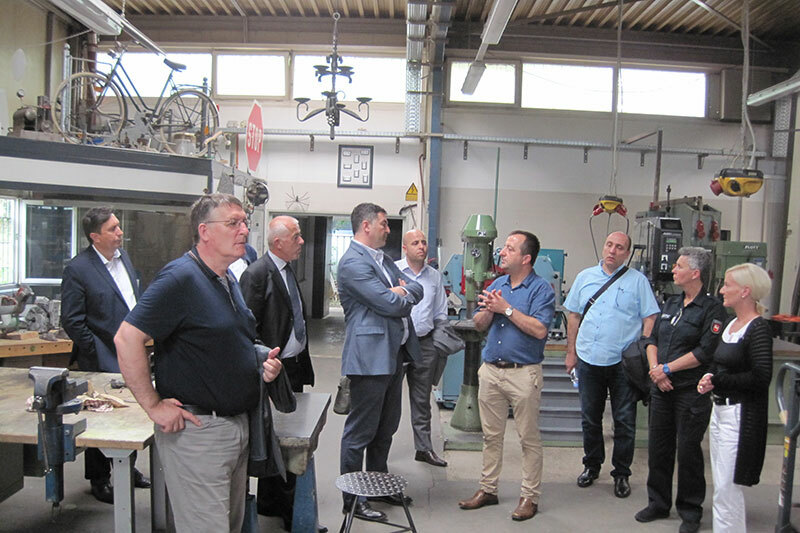 On the third and last day of the study visit, there was a visit to the juvenile detention facility in Göttingen and the open prison for young offenders. The guests were given a guided tour of both institutions and a detailed explanation of the concept behind each establishment. In this way, they were able to get a clear insight into the juvenile detention facility and the open prison and find out at close hand about the everyday lives of young offenders. 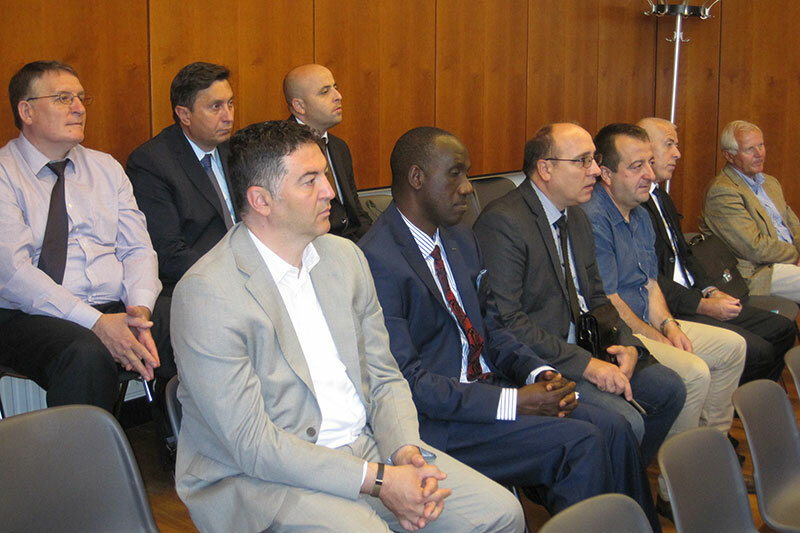 The professional visit was funded by the German Federal Ministry of Justice.